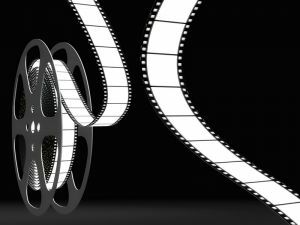 (The Roundup Reel features some of the recent funding-related developments that you may have missed.) Late January means that we’re back to our regularly scheduled program for the federal funding process. Both chambers of Congress are back from the winter recess and are taking up a heavy slate of unfinished and/or critical funding-related business. For example, House and Senate leadership are close to finalizing language that should allow a reauthorization bill for the Federal Aviation Administration to move forward – and just in time, as the current extension will expire at the end of the month. The Senate Finance Committee will also soon take up part of the surface transportation bill to address gaps in the Highway Trust Fund. In addition to working on legislation for specific areas of funding, Congress is considering the bigger picture. There’s still the pesky matter of the sequestration (automatic, far-reaching federal spending cuts) that is poised to kick in in 2013 due to last year’s failure of the “supercommittee” to provide a plan for reducing the federal deficit. A number of members of Congress have vowed to get the sequestration reduced, postponed, or repealed altogether, although the president has repeatedly insisted that he’ll veto such efforts. In the meantime, Congress’ committees and subcommittees have been marking up a variety of bills proposing reforms to the timing and processes surrounding the federal budget. The federal agencies have been hard at work developing their fiscal year 2013 budget requests – which have to move forward despite the debates over the scheduled sequestration – and Congress has begun scheduling hearings in February to consider the FY 2013 requests, starting with the departments of Defense, Homeland Security and Veterans Affairs. The Department of Education has extended the application deadline for its Regular Upward Bound program to February 1, 2012. The Department of Housing and Urban Development announced the grantees and award amounts for the fiscal year 2010 competition of the Assisted Living Conversion Program. The Department of Agriculture has announced upcoming teleconferences and/or web conference meetings for its Multi-Family Housing Program. It also announced that no funds will be available and no applications will be considered for the Biorefinery Assistance Program until further notice. The Department of Transportation proposed rules to expedite the award approval process for the Federal Transit Administration’s “New Starts” and “Small Starts” programs, which fund fixed-guideway transit projects. It also proposed a new regulatory framework for evaluating and rating new major capital transit projects seeking funding under those programs.